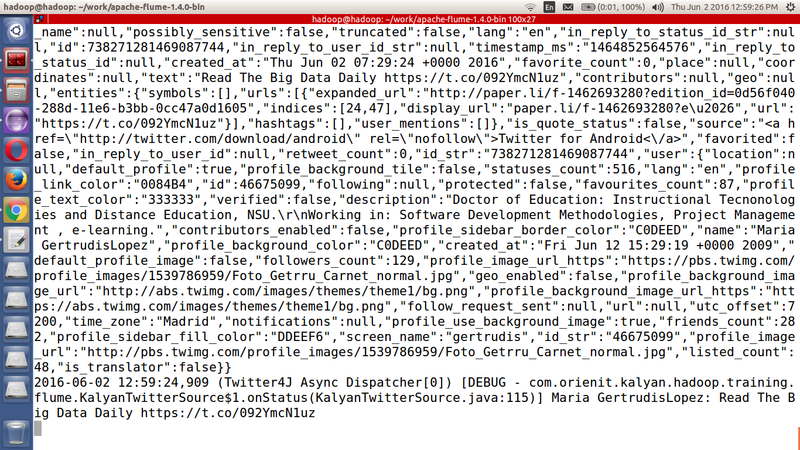 2016-06-02 12:36:21,765 (Twitter Stream consumer-1[Establishing connection]) [INFO - twitter4j.internal.logging.SLF4JLogger.info(SLF4JLogger.java:83)] 404:The URI requested is invalid or the resource requested, such as a user, does not exist. 2016-06-02 12:36:41,766 (Twitter Stream consumer-1[Waiting for 20000 milliseconds]) [DEBUG - twitter4j.internal.logging.SLF4JLogger.debug(SLF4JLogger.java:67)] 404:The URI requested is invalid or the resource requested, such as a user, does not exist. 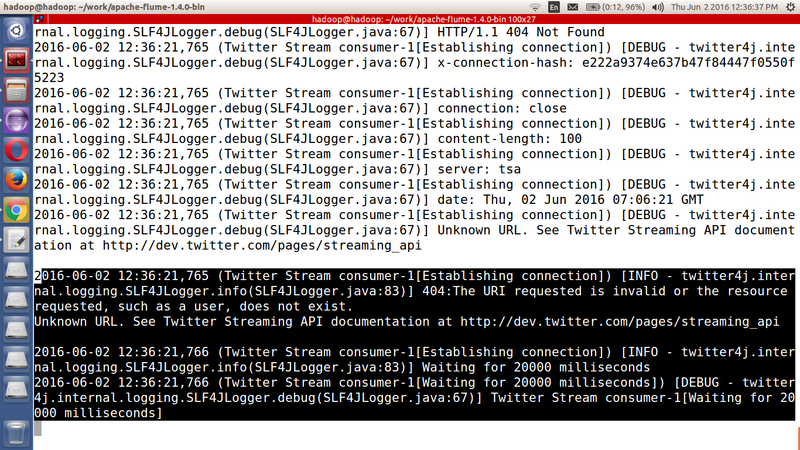 2016-06-02 12:36:41,766 (Twitter Stream consumer-1[Waiting for 20000 milliseconds]) [INFO - twitter4j.internal.logging.SLF4JLogger.info(SLF4JLogger.java:83)] Establishing connection. 6. 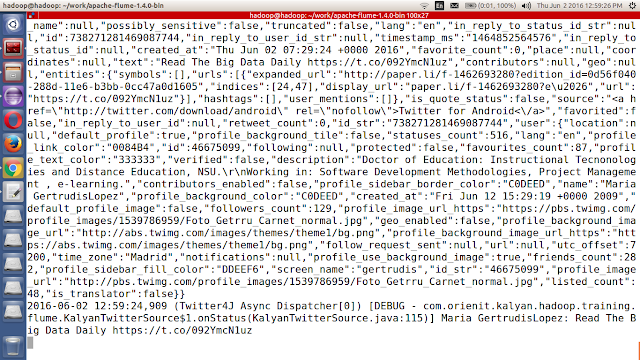 Verify the data in hdfs location is "hdfs://localhost:8020/user/flume/tweets"